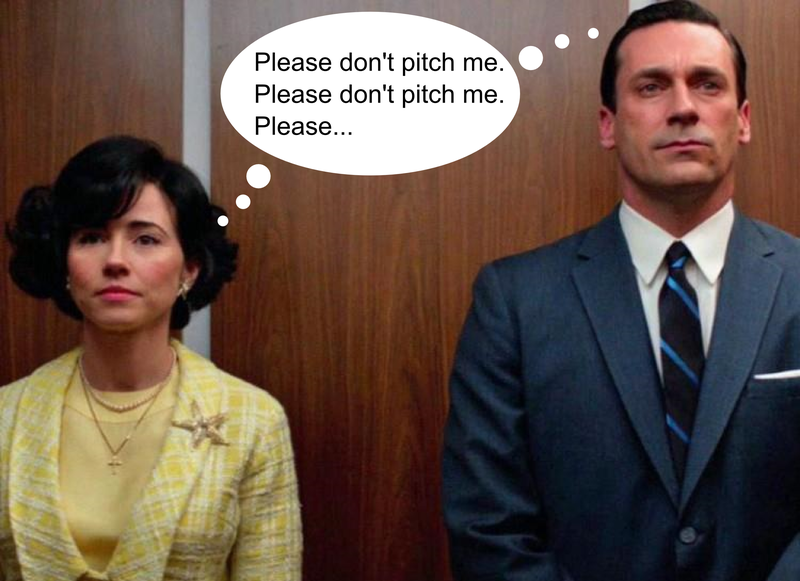 August 19, 2015 The Elevator Pitch is Out! It’s not surprising that this kind of approach doesn’t work. But, what does? According to international sales speaker Kim Duke, you should ditch the traditional elevator pitch in favor of storytelling. Tell a little something about yourself in story form. Make it interesting and unique. PEOPLE. You’re not talking about gadgets and services – you’re talking about people. It is conversational, interesting to listen to. CURIOSITY. You lead with something that captures their attention – something that they are struggling with. DON’T SOUND CANNED. There’s a difference between being passionate or being an actress. If you’re too dramatic, or too flat – people TUNE YOU OUT both ways! Practice your introduction but don’t sound like a robot. CALL TO ACTION. People should feel inspired to want more, learn more, go to your website, ask for your card…make them think! And don’t forget to LISTEN to what others have to say. A good listening ear can go a long way. Remember to always be your authentic self when telling your story. Don’t stretch the truth or just “tell ’em what they want to hear.” Lay out your story and practice it in the mirror or with a friend. That way, you’ll feel more natural when the time comes to actually talk to a potential client. Above all, be yourself! It’s great if you have an amazing story about fly-fishing in Montana, but is that really what your prospective wants to hear? Instead, focus on the material you’re presenting. How can you bring it to life with a relevant story? Perhaps you have a tidbit about how your product positively affected someone? Or maybe you have an interesting story about the products’ development or value? Brainstorm and jot some ideas down on a notepad. Then, run them by your co-workers or friends to gain their input. This point may seem obvious, but it is absolutely crucial. Storyteller Kambri Crews said in an interview with Entrepreneur.com that, “The beginning should hook your audience, while the end, the call to action, must be clear.” If your story is jumbled, your prospective client may have trouble deciphering the main message or become disengaged. Sympathetic main character, AKA the Hero. The audience should be able to see themselves in the hero and the situation. The Hero encounters a Stimulus, which leads them in the direction of resolution or transformation. Tension or a Conflict is exposed. Our Hero now must maneuver challenges and obstacles. A Crossroad where the final transformation takes place. In your Use Case this is where the customer purchased your solution. The final chapter in the story is referred to as the Moral of the Story. The Hero has navigated the Conflict and appears transformed in an ideal state. Like most things in life, you have to practice your pitch in order to perfect it. First develop it on your own and practice giving your pitch in front of a mirror. 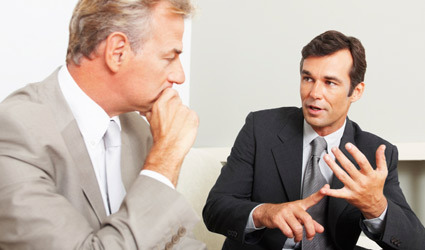 Then, practice with others, allowing them to interrupt or make comments (which is likely to happen in a real-life sales situation). Practice sounding natural and unrehearsed and don’t forget to let your body language be relaxed, open, and friendly. Need help developing your story? Feel free to contact me for guidance.